I know, very well, how challenging it can be to train, choreograph routines, and prepare for performance in the art and sport of Canine Musical Freestyle without the benefit of in-person training classes. At times it can be difficult to move forward without the structure of frequent lessons, the input of an instructor, and the camaraderie of sharing the experience with classmates. Fortunately, the internet has given those who train on our own a way to participate in training classes through online learning. Whether you are training on your own, or are interested in supplementing your current class work, Poised for Success has something for you! All online classes are designed to provide opportunities to improve your team's foundation skills, to boost your artistry and creativity, to deepen your bond with your dog as you grow in a mutual working partnership, and to use Freestyle to build confidence and enthusiasm in your canine teammate. Poised for Success is an independent endeavor, and is not affiliated with any Freestyle venue or organization. Students are welcome from all forms of this highly diverse art and sport, as are those who are interested in Freestyle solely for fun, fitness, cross-training, or entertainment through demonstration. The most important lesson that I have learned through 10+ years of living, training, and working with dogs is that they are among my greatest teachers. Each of them has shown me in some unique way that working through challenges and overcoming setbacks with them is an honor and a privilege. Many of these learning experiences have happened through our experiences in Musical Freestyle and, more recently, through our participation in Canine Parkour. I began training dogs when I discovered that my first Border Collie, Speedy, was extremely fearful of people and other dogs. My efforts to help Speedy overcome his fears and gain confidence led us to an incredible journey that culminated in our participation in Freestyle. In spite of the lifelong challenges of fear and stimulation issues, Speedy and I went on to perform demonstrations at nursing homes, fund raisers for rescue organizations and canine cancer research, club gatherings, and training camps. In addition, we earned multiple titles in Musical Freestyle and Heelwork to Music through the World Canine Freestyle Organization, and the Dogs Can Dance Challenge. One Freestyle partner was simply not enough! Our Freestyle team now includes Dean, a gorgeous and talented boy who prefers to participate in Freestyle through video, Tessa, a former stray who adores performing in live events, and our youngster, Bandit. 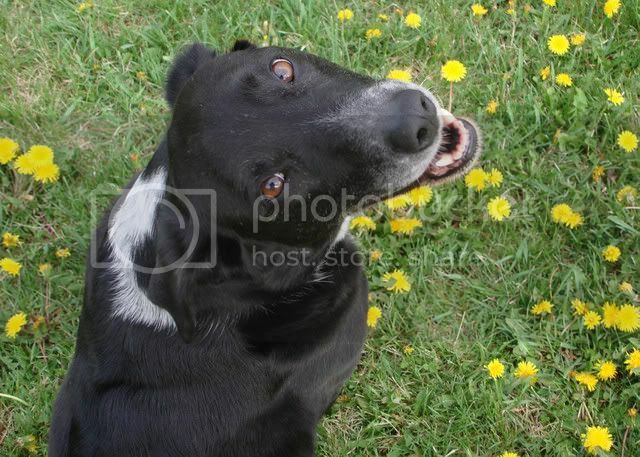 Although she is no longer with us, my beautiful Border Collie/Lab mix, Maddie, was also part of our team. She was primarily an Agility dog, and she danced with striking power and enthusiasm. It has been a privilege to include videos of her Freestyle performances toward our team's submissions in the Dogs Can Dance Challenge. I am a teacher by profession, and I serve as an instructor at Dandy Dog Training in Newville, Pennsylvania, where I have taught "Movement to Music" and "Introduction to Rally Obedience" and have co-taught Agility classes ,and I currently teach "Confidence and Self Control", a class based on Leslie McDevitt's Control Unleashed program. In CSC I help handlers of dogs who struggle with: focus issues, shyness, fear, stimulation issues, competetion stress, mild reactivity, and a host of similar situations, learn how to help their canine companions overcome their challenges through reinforcement based exercises designed to build confidence, self control, enthusiasm, and trust. In addition, I have taught Freestyle at the vacation camp held at Glen Highland Farm to benefit the Border Collie rescue from which both Dean and Tessa were adopted. In addition to Freestyle, my dogs and I enjoy training and competing in Agility, through CPE and NADAC, and Rally Obedience, through World Cynosport and Cyber Rally-O. Most recently, we have been enjoying Canine Parkour. Dean is mostly retired from titling, although he still enjoys an occasional Parkour outing, and he sometimes films Freestyle performances. Congratulations to Tessa on earning her 50th Title in dog sport performance!! October 2016. Congratulations to Bandit on his first Cyber Rally-O Dance Division Q! Speedy and Maddie were my first two performance dogs and they taught me quite a lot of what I have come to know about training and handling performance dogs. Although Sammie was not a performance dog per se, he was an important part of our class demo team, often playing the part of the "untrained dog" for various exercises. Although no longer with me, their demo video contributions continue to be a part of our online classes! Speedy, on his own, completed all of the requirements for the Dogs Can Dance Challenge Championship. He served as our Team's Most Valuable Player. Team Hammar really was Team Speedy!